Below is a list of communes in France (Overseas departments included) with a population over 20,000 at the 2013 census. All figures reflect INSEE's sans doubles comptes counting method (French: population municipale). ^ INSEE: Legal populations, definition. ^ INSEE: Les populations légales des communes de la collectivité d'outre-mer de Saint-Pierre-et-Miquelon. ^ INSEE: Les populations légales de la collectivité d'outre-mer de Saint-Barthélemy. ^ INSEE: Les populations légales de la collectivité d'outre-mer de Saint-Martin. ^ INSEE: Mayotte (recensement de 2012). ^ INSEE: Polynésie française (recensement de 2012). ^ INSEE: Wallis et Futuna (recensement de 2008). ^ INSEE: NPopulations légales au recensement de la population 2014 de Nouvelle-Calédonie. Saint Pierre and Miquelon, officially the Overseas Collectivity of Saint Pierre and Miquelon, is a self-governing territorial overseas collectivity of France, situated in the northwestern Atlantic Ocean near the Canadian province of Newfoundland and Labrador. It is the only part of New France that remains under French control, with an area of 242 square kilometres (93 sq mi) and a population of 6,080 at the January 2011 census. Wallis and Futuna, officially the Territory of the Wallis and Futuna Islands, is a French island collectivity in the South Pacific between Tuvalu to the northwest, Fiji to the southwest, Tonga to the southeast, Samoa to the east, and Tokelau to the northeast. Though both French and Polynesian, Wallis and Futuna is distinct from the entity known as French Polynesia. 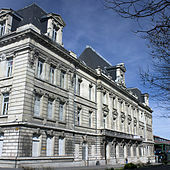 In European elections, Overseas Territories is a constituency of the European Parliament in France. It consists of all the inhabited French overseas departments and collectivities, even if their territory is not part of the European Union: constitutionally, all French citizens are also granted the same European citizenship, consequently all of them are electing their representants in the European Parliament, independently of their area of residence. 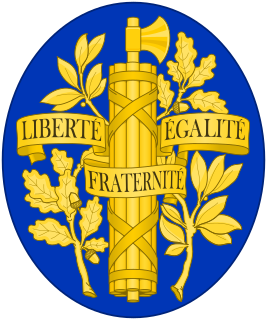 France–Ukraine relations are foreign relations between France and Ukraine. Diplomatic relations between both countries were established in 1992. France has an embassy in Kiev and Ukraine has an embassy in Paris. Since 2006, Ukraine is an observer in the Francophonie. La Coupe de l'Outre-Mer de football was a biennial football competition that was created in 2008. It was designed to have the national football teams of the overseas departments and territories of France play against each other. This competition replaces the Coupe des Clubs Champions de l'Outre-Mer that involved clubs from the territories. The first edition took place between 24 September and 4 October 2008 in Île-de-France. Whereas France is a member of the European Union and the Schengen Area, the overseas departments and territories of France are not part of the Schengen area and apply their own visa policies. These policies are generally similar to those adopted according to the Schengen acquis, with some additional exemptions or restrictions.